Home » Posts » Blogs » Is it Lazer or Laser Eye Surgery? Is it Lazer or Laser Eye Surgery? Now, is it Laser or Lazer eye surgery? Many people use lazer when they mean laser – it’s a common mistake. Lazer is actually an acronym for Light Amplification by Stimulated Emission of Radiation but it is always written with an ‘S’ as laser. When it comes to vision correction, laser eye surgery is a medical procedure to correct refractive errors; commonly used to correct near-sightedness, far-sightedness and astigmatism. The arrival of this laser-based technology has transformed refractive eye surgery making it blade-free. As a result, the range of refractive errors that can now be corrected has increased greatly and more complex eye prescriptions can now be corrected to a very high standard. The surgery procedure itself has become very quick, in some cases completed within ten to fifteen minutes. Patients can ditch a lifetime reliance on prescription glasses and lenses in half an hour of having a laser procedure completed on their eyes; the results are long lasting with excellent outcomes for patients. Laser eye surgery can be categorised into three types. However, we don’t want to include procedures under clinical trials as, at AVC, we only provide fully certified FDA approved treatments. Numbing drops are administered so that the surgeon can operate on the eye without the patient feeling any pain. The surgeon removes the outermost layer of cells, the epithelium, using a diluted alcohol solution. Once the epithelial cells are removed, the Excimer laser treatment is performed. After the Excimer laser treatment, the surgeon places a clear, soft contact lens, called a bandage contact lens, on the eye. These special bandage contact lenses do not contain any prescription correction, but simply protect the eye and keep the patient comfortable while the epithelial cells grow back. The epithelium is cut to a thickness of 50 microns while the Stroma is left uncut and pushed aside with the help of a blade. An Excimer laser ablates corneal tissue under the epithelial flap. An alcohol solution helps lift the epithelium. Flap edges heal within a day. A patient can drive in about a week with excellent vision achieved in about 6-8 weeks. Recovery slightly longer than LASIK in about 4-7 days. A WaveFront machine maps the eye for vision errors. A femtosecond Laser then creates a series of tiny closely arranged bubbles within the cornea to make a flap to lift the epithelium intact, a hinge is left at one end of this flap. Once the eye is immobilised and a flap is created by cutting through the corneal epithelium. An Excimer Laser with the errors mapped by a Wavefront machine is then guided by an ophthalmologist to precisely correct vision errors. The flap is folded back, revealing the stroma, the middle section of the cornea. After the laser has reshaped the stromal layer, the flap is carefully re-positioned. The most advanced procedure and the newest procedure in laser surgery has to be Wavefront-guided LASIK, as results of a successful outcome depends on detailed mapping of the eye to reveal all refractive errors, which in this case is done by an advanced Wavefront machine. It not only corrects lower order aberrations, as in traditional LASIK, but it can also correct higher order aberrations. Wavefront itself has been upgraded to ‘Advanced Wavefront’, where special programmes have been introduced to map the eyes suitable to an individual prescription, thus a tailor-made mapping of refractive errors can be conducted. 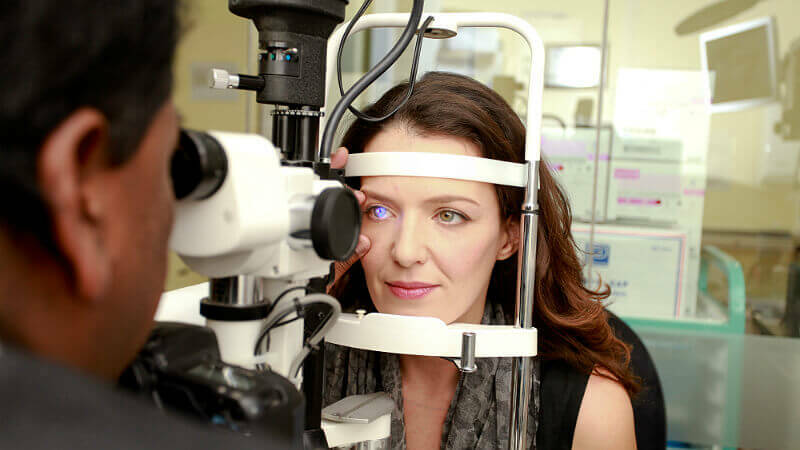 How do you find out if you are suitable for laser eye surgery?